English author, essayist, novelist, poet, artist, philosopher, humorist, and journalist Gilbert Keith Chesterton was born in London on this day in 1874. His witty style and mastery of the paradox made him an apt defender of the Christian faith by warmly engaging readers and then turning their world upside down--or rather, right side up. 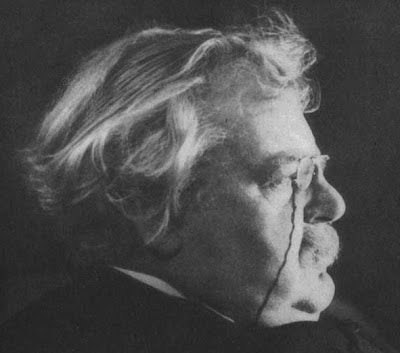 Although popularly known for his Father Brown detective stories, Chesterton's most influential writings continue to be works such as Orthodoxy, What's Wrong With the World, and The Everlasting Man.